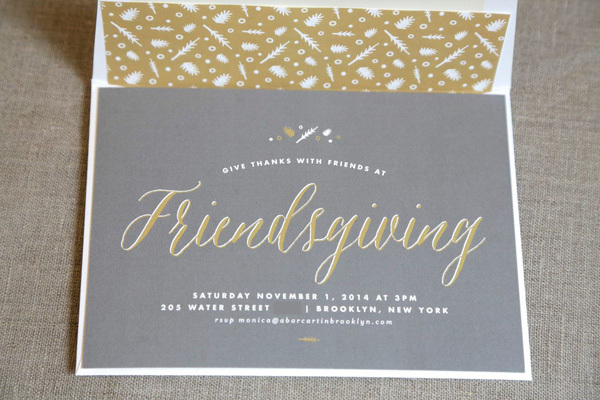 A Bar Cart in Brooklyn: Friendsgiving Invitations: Exclusive Free Downloads!! 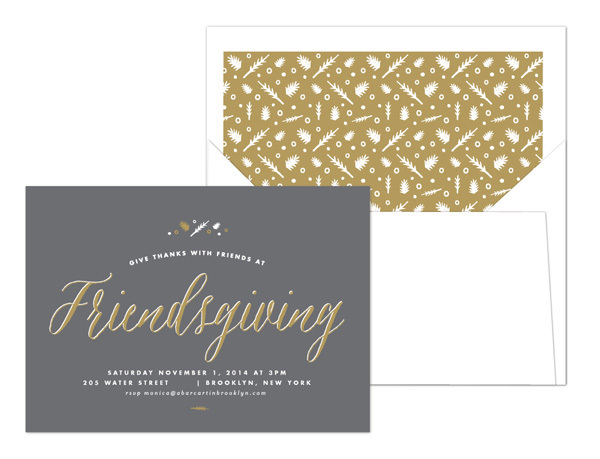 Friendsgiving Invitations: Exclusive Free Downloads!! 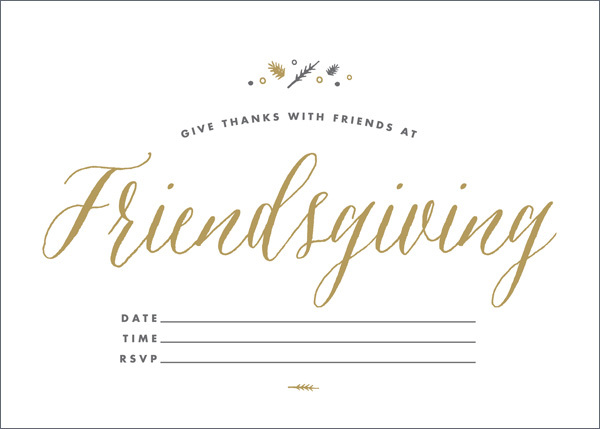 Now that I've explained my complete and utter adoration of Lauren Chism, I'm so excited to share the Friendsgiving invitations that she designed exclusively for us!! I started searching for a suitable invitation back in September, and the only one available that I liked was the one we used last year. Which got me thinking that other people must be having the same issue. Lauren to the rescue! She created two invitation templates AND a matching envelope liner, just for us. You can download them for free, edit the files with your specific celebration details, and print them at home (or send them Kinkos to print on a higher quality stock). For a super quick option you can print the white one and write your information by hand. 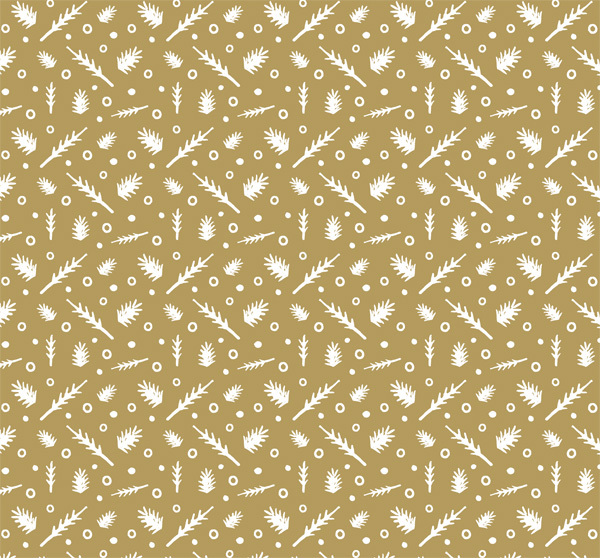 Click here for the downloadable files. 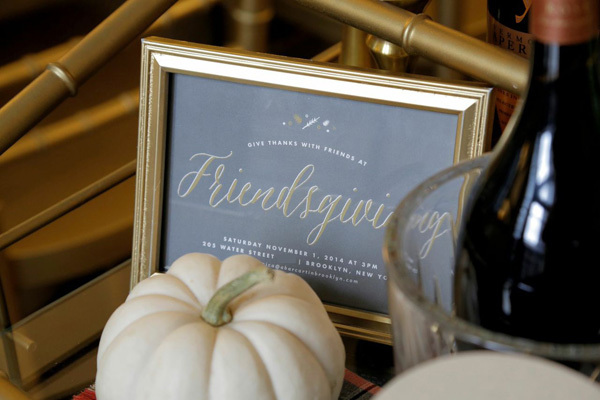 It's not too late to throw your own Friendsgiving celebration - there are 3 weekends left before Thanksgiving! To use the envelope liner: Print the file and cut to size. Insert the liner into a square flap A7 envelope - the bottom of the liner should reach the bottom of the envelope, and the top of the liner should be straight. Fold the flap of the envelope as if you were going to seal it. Then open it and secure the liner onto the envelope with double sided tape or a glue stick. I chose to use the grey background for our celebration this year. You can see it above framed on my bar cart, and below on the natural colored linen tablecloth. By the way, if you really want to go the extra mile, you can order these vintage harvest stamps from Verde Studio on Etsy.